Getting ready to go back to school can bring a lot of mixed emotions; grief over the loss of summer, relief for the parents, dread for the kids, and it can have some green-minded parents shaking their head over the sheer amount of items (clothes, shoes, school supplies) that their kids seem to need to buy – and re-buy, each and every year. Even when you homeschool you typically still buy some new stuff around this time because this is when it is readily available and on sale. Is there a way to green the return to the school scene? You betcha! Luckily for us treehugger parents, there are several ways that you can turn a green eye on your back-to-school shopping and actually feel good about your reduced carbon footprint, and several have been included here. Kids seem to grow a mile a minute, and sometimes it seems nearly impossible to keep them clothed without spending a fortune; add to that their insistence on being ‘hip’ or fashionable, and it can seem that trying to hopeless project go any shade of green. For the seriously green-minded parent, there are a growing number of green-minded children’s clothing stores that are cropping up all across the US. From stores that use all organic cotton or hemp to stores that remake vintage clothing for today’s kids, there are plenty of choices available. I watched group deal places like Zulily and MamaSource all summer for deals on organic clothing. Those items work well for the limited amount of “new” stuff I buy each year and it is not so much a need for new as it is a need to help support companies making greener options so they stick around. If you want to get your kids really “into” the greening of their closets, try taking them to a thrift store; some of the upscale thrift stores have styles and brands that even picky teenagers can’t complain about, and you’ll be able to breathe a sigh of relief that you are helping planet earth as much as possible. We went on our annual back to school thrift store trip this past week. I got so many adorable clothing items that my 7 year old daughter is happy to spend hours in her room trying them all on and figuring out all of the combinations she can make. The most we spent on anything was $5.99 and that was for a brand new with tags 3 piece outfit (shirt, skirt, and alternating pants). Most of the clothing we bought was $1.99 a piece and we only bought nice stuff. Then we came home and freecycled their clothing that doesn’t fit anymore so that we can help other families keep it green too. For shoes I recommend Simple Shoes. 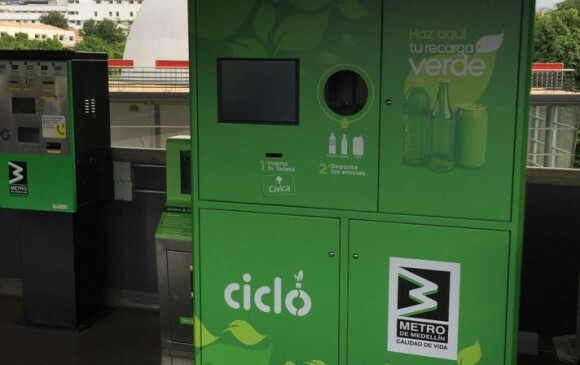 They have some very nice, eco friendly choices for kids. There are also other components of fashion beyond clothing, especially for girls. My daughter usually starts out the year with some new piggy paints, non toxic nail polish and some natural lip gloss or balm (no lipstick yet!). She gets jewelry such as beaded necklaces at yard sales and garage sales and pretty soon earrings too since she will start this year with pierced ears. For backpacks we use the same one from year to year. My youngest son will be going on year two for his Crocodile Creek Pack for his speech therapy sessions. My daughter decided to freecycle her backpack of 2 years for a new one this year. I didn’t complain because it was an iCarly backpack (which I objected to with no success) and this year she wanted an unbranded horse/pony backback. I still consider it a success. Lunches are a big part of your child’s school day, so why not focus on creating lunches for them that are based on organic and local grown foods? Local bakeries for the breads, farmers markets for the fruits and vegetables, or at the very least organic products from your local grocery store. I like to stock up on Apple Butter during the Fall days of our Farmer’s Market and it makes an appearance in lunches quite often. Local apples are another favorite as well as pumpkin soup (served cold) made from local pumpkins. As you pack lunches use recyclable lunch bags or lunch boxes instead of paper bags. Even the pickiest kid can’t complain about the new metal water bottles with the awesome designs that can be used to send their drinks to school. You can even send green smoothies in them for a powerhouse of nutrition. For the best lunchboxes I recommend LunchBots, Tiffins, or The Laptop Lunchbox. I love that the laptop lunchbox has lids that can be used on some compartments so you can send pumpkin soup or chia seed pudding and not have it make a mess. If you have teens that don’t want a lunch box you can give them a stylish reusable bag and some Planet Wise sandwich wraps. They can be used for more than just sandwiches and they are an eco friendly way to wrap foods. Plus the wrap can be unfolded and used as a placemat. Cool! Teens also like Built NY bags. They are funky and stylish while still be functional. 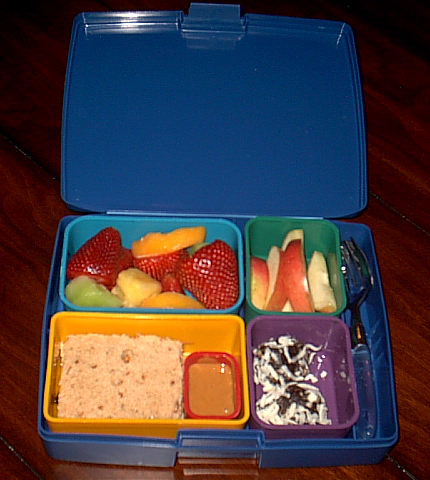 For more eco lunch ideas check out Bento Lunchbox. 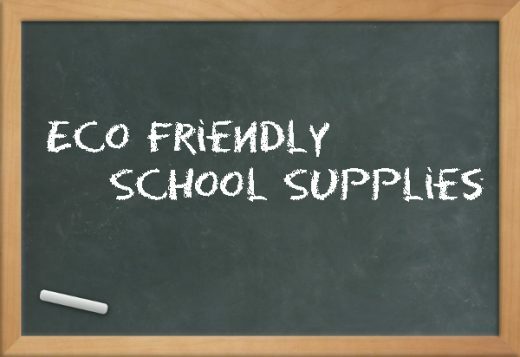 School supplies are perhaps the hardest thing to consider going green with when it comes to back-to-school shopping, but making wise choices can actually make a difference in the long run. When shopping for filler paper, notebooks and pencils, don’t settle for the cheapest products available, but choose instead items made from recycled paper and wood. An alternative paper notebook I like is the Writersblok Bamboo Notebook made from bamboo pulp. Also conventional stores usually have a greener notebook available it just costs more than the virgin paper notebooks for some reason. And whatever you do, try to keep track of your mainstays from year to year. Re-using things like rulers, calculators, protractors the like may seem time consuming, it can make a decided difference, not just in the cost of your back-to-school supply shopping, but in how much it saves the planet to not have to deal with one more plastic calculator or ruler or protractor in the landfills. Throughout the year you can find these items at yard sales too.